I have been doing some blog reorganization recently. Information about Pacific Crest Trail Maps, Smartphone Apps, and other Halfmile Projects will be moving to Halfmileproject.org. Check it out to learn the status of various Halfmile Projects and find other useful Halfmile PCT information. Lon.net will remain active as my personal blog. Photographs and information about my various travels will continue to be posted here. 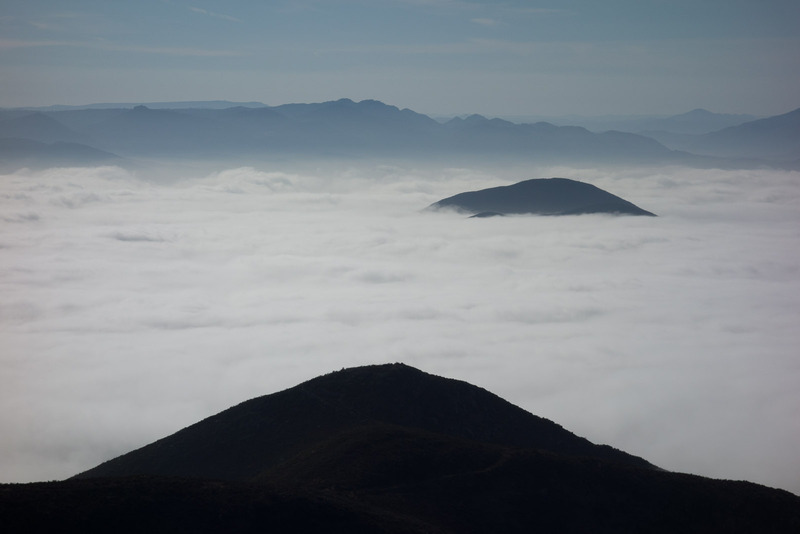 On this morning’s hike up Mount San Miguel, we walked up into the clouds. 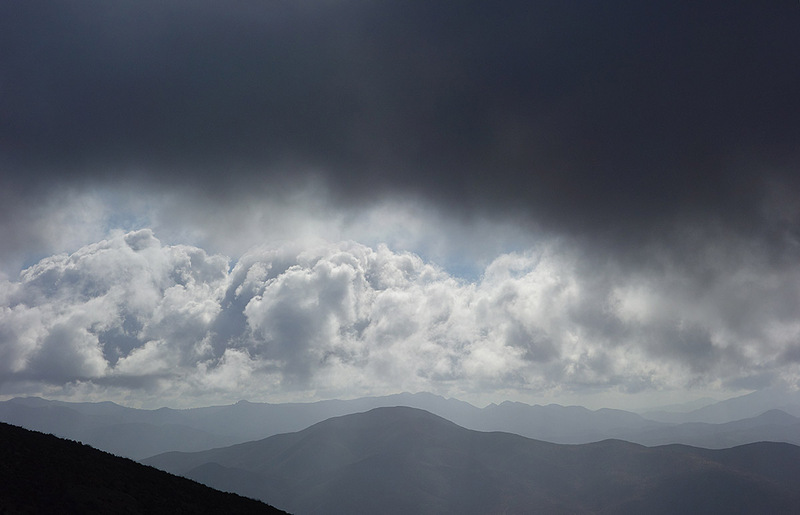 On the way down, as the clouds started to clear, we could see the Otay Mountains in the distance. 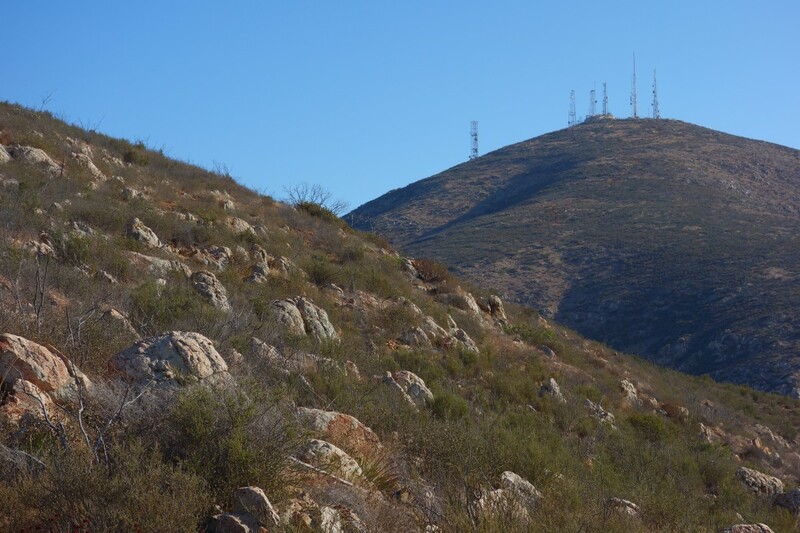 We made another hike up Mount San Miguel on Sunday. Great views, but a steep walk up. About 4.8 miles round trip, with just over 2,000 feet of climbing. The area is starting to be discovered. We are seeing many more hikers on the mountain now, than a year ago. The Lon.net website has been moved to WordPress.com for hosting. Sharp-eyed readers may have noticed this site had been on Tumblr the past few months. Tumbr was great because it’s so easy to post updates, especially for mobile users. I had a difficult time deciding between WordPress and Tumblr. They are very different approaches to blogging — Tumblr is simple but limited; WordPress is more powerful, but with a little added complexity. Ultimately, the power of WordPress won me over (and it’s not really very difficult to use WordPress). WordPress comes in two versions and that confuses some people — WordPress.com and WordPress.org. The differences are explained in this link. Lon.net is now hosted by WordPress.com, which is the more limited of the two WordPress versions. You can’t add your own plugins, widgets or themes. Only those provided by WordPress.com can be used. The advantage, is that WordPress engineers take care of keeping the software updated, secure, and running quickly. The last think I want to do, especially if I’m away on a long thru-hike, is worry about updating WordPress plugins from a ridgetop somewhere along the Pacific Crest Trail.